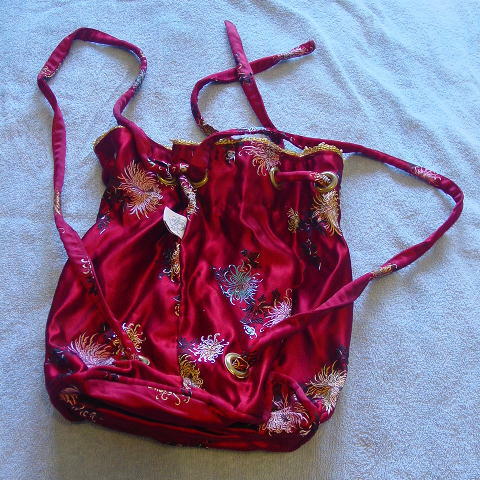 This dark red shiny fabric, fancy knapsack-styled purse has a black fabric lining. The pattern has an Asian stitched flower and leaf design in pink, black, white, blue, and light gold. 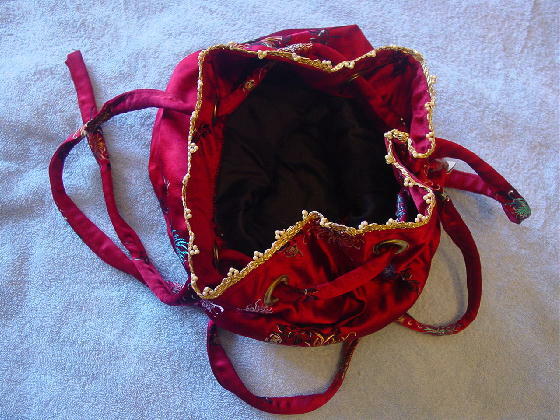 There are eight gold-tone metal brass grommets near the top where the cord-like drawstrings are pulled through. Two of the grommets also have the shoulder straps pulled through them. 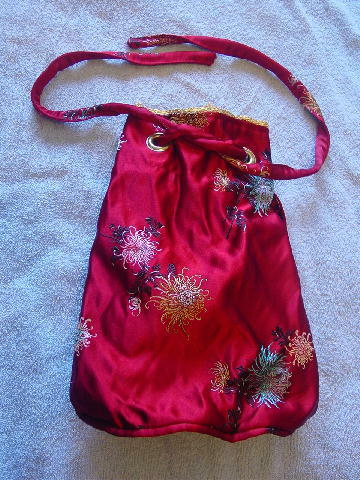 The shoulder straps are also pulled through two lower grommets. Around the top opening is a thin bright gold-tone multi-thread edging with little faux pearl accents. There is a logo tag on the bag.